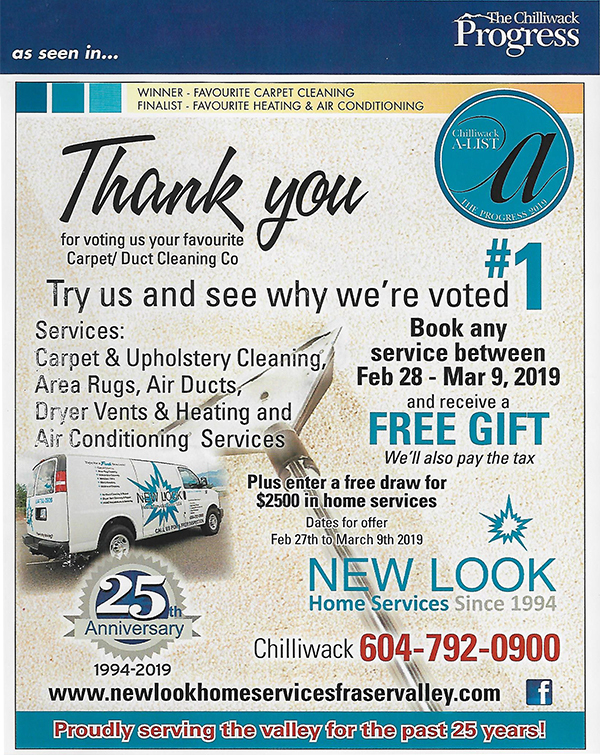 New Look Home Services has won the Chilliwack A List Award again! Voted on by the people of Chiliwack, we are proud to serve this community! 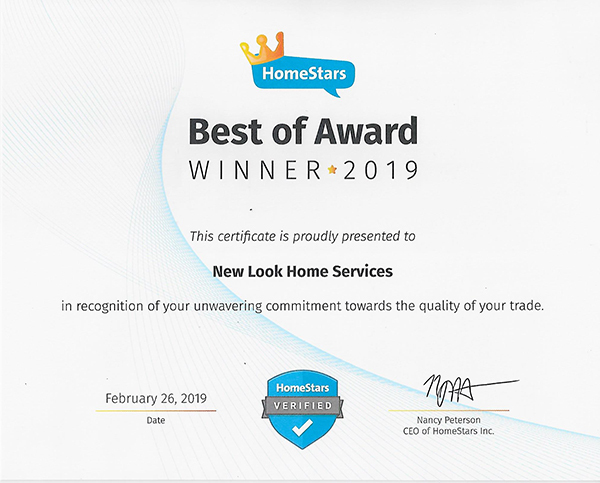 And if that wasn’t a big enough honor, we were voted the best by Home Stars – a consumer reviews company! 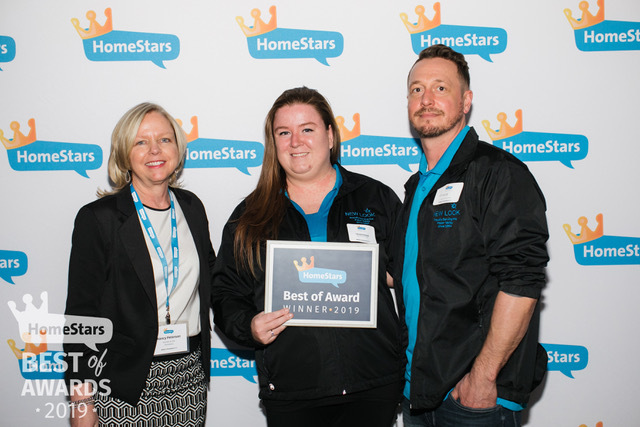 Our customers have spoken – and they have voted us the best! We want to continue to offer you, our valued and amazing customer, the best in service, exceptionally cleaned carpets, ducts and vents, HVAC system care – and so much more!